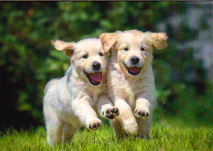 Did you know that many people in the UK tend to celebrate their own pets birthdays! 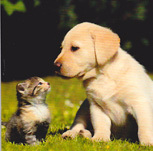 Clickandpost.com can offer you a wide range of cards with cats, dogs and other pets on them. Clickandpost.com also happily allows you to write your own message. So this means you can give it to anybody you like for any occasion you like, including birthdays, get well soon or even just a card to say thank you. Or you could write on for your pet!